Gather the above information, and call the JIF Administrator’s office to notify and schedule pick-up. Have your Risk Management Consultant gather the information, contacting your staff only for verification or information they may not have in their possession. Advise your Risk Management Consultant that they may contact the JIF Administrator’s office at any time with all questions. Area Vice President, Arthur J. Gallagher Risk Management Services, Inc. Think about having the JIF Administrator make a presentation to your Board or a committee of your Board about the SPELL JIF. Feel free to call any of the SPELL Trustees for references. 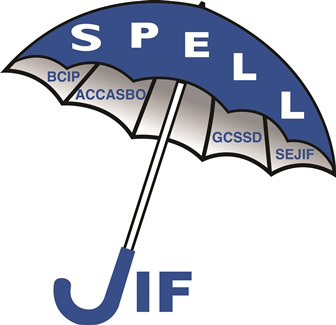 The School Pool for Excess Liability Limits Joint Insurance Fund (SPELL JIF) is pleased to announce that they are now accepting partial term memberships in the school joint insurance fund. In the past, districts could only apply for membership if all lines of coverage (Workers’ Compensation, Property, Auto & General Liability, Educators/School Board Legal Liability) were up for renewal. By accepting partial term memberships, districts interested in exploring membership are permitted to apply for partial term membership as applicable lines of coverage come up for renewal until an all lines membership is achieved.